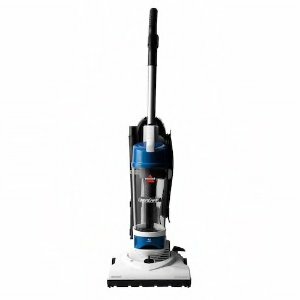 2018 Black Friday Doorbuster！Kohl's offers the BISSELL Aeroswift Compact Bagless Upright Vacuum for $49.99. Extra $15 Kohl's Cash for every $50 spent, redeemable November 24- December 5. Black Fridya Online Sales starts: at 12:01am, Monday, November 19. In Store starts: at 5pm, Thursday, November 22. Free shipping on orders over $50 or free in-store pickup. Features: Compact, lightweight design. Quick release handle to easily transition from cleaning floors to stairs and other hard to reach areas, complete with a 10-ft reach. Cyclonic Technology extends performance and keeps filters cleaner, longer. Bottom empty dirt bin designed for easy and touch less dirt disposal.